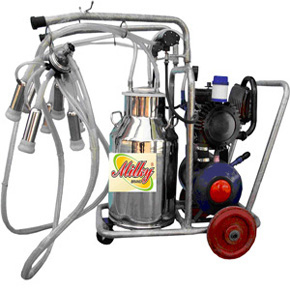 As we have enormous proficiency in the arena of manufacturing a wide variety of Mobile Milking Machines. We manufacture these machines after intensive research and understanding of the requirements of the milking process in the farm houses and dairies of the world. The machines we manufacture are made with the aid of high quality materials and also making use of the most advanced technology in adherence to the international standards of quality. Our machines are quality tested and the milking process done by it is very hygienic and contamination free. The milking capacity of this machine is about 10 – 12 cows / hour. The machine is very reliable, user-friendly and very easy to handle and hence is very convenient for the user. The Milk hose offered in the machine is composed of food grade silicone material. The machine is also very easy to maintain. We are the leading offer them at very excellent prices. 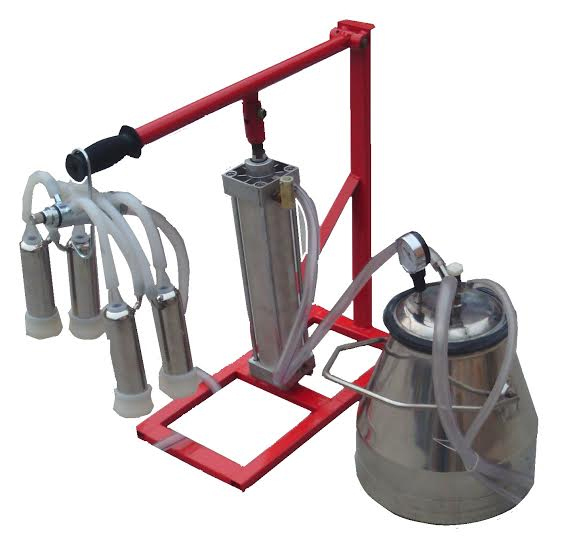 Our Portable Milking Machine is preferred widely in the related market because of their excellent design with the features of light weightiness, compactness and portability. These machines also offer high functionality in a very profitable manner. 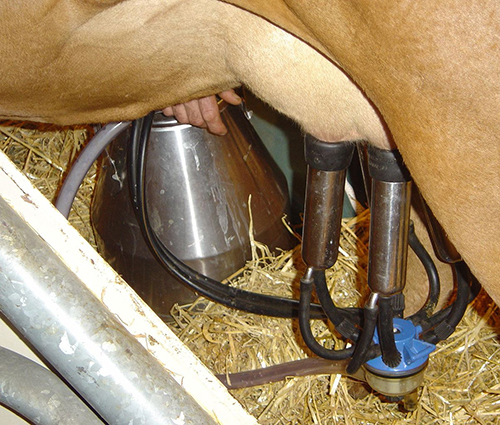 The milking capacity of this machine is about 20 – 22 cow / hour. These cause no injury to the animal being milked and are totally safe and reliable. These are manufactured with the aid of cutting-edge tools and up-to-date methodologies as per the norms of the industry hence they have several usage features that are very convenient and easy. These machines require very less maintenance as well. They have good life span and we offer them at market leading price rates. 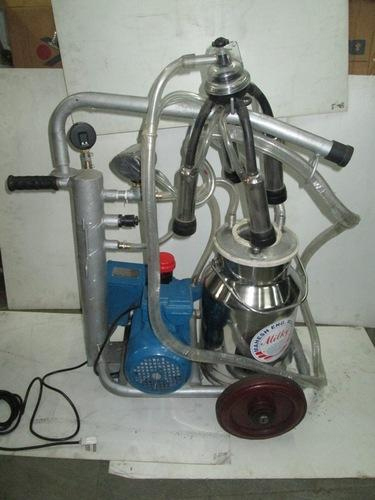 We are the leading suppliers of Portable Milking Machine in India and supply them to cities such as Hyderabad, Coimbatore, Trivandrum, Kanpur and Kolkata etc. Our hand operated milking machine is very excellent for those who have very small farms with very few animals. These machines are absolutely compact and can be easy carried to the place needed. These manually operated machines are not at all laborious and are very easy to operate by the milkman. The ideal design and the composition material of the parts of contact make the milk extraction very neat & hygienic. These offer uniformly smooth milking process. Our machines are manufactured very qualitatively employing best quality basic materials along with the state-of-the-art technology sternly following to the global quality norms. These are quality tested before they are supplied in the market hence our clients acclaim that they are satisfied with our flawlessly performing machines. Our machines are also very durable and affordable. Our cow milking machine is ideally designed with an intention of non-laborious & easy milking together with the safety of the cows. This machine is very effective because it offers optimal functionality at a very time-saving manner. These machines have great demand especially in the domestic market as it is based on the latest and the most practically followed technology. These are also sturdy as we make them with the most high quality materials as per the norms of the industry. These are tested out for the qualitativeness so that our clients can obtain only flawlessly performing machine from us. The unique design made by our professionals causes them to be compact, light in weight and also very easy to carry to the required place. The milking process with this machine is very hygienic and uncontaminated. These are very affordable and the most suited for domestic milking applications as well as small level cow farms.